Our Full Truck Load (FTL) services are the driving force behind businesses from diverse industry verticals. Keeping the demands of customers in mind, we offer customized Full Truck Load services which are known for your flexibility and timely delivery. We know how to handle each operation according to industry norms. FTL is our main line product having services for Pan India with GPS enabled vehicles as per the requirement of the customers. We have multiple categories with variety of vehicles in "Full Truck", like Closed & Open Body Containers, Trailers, ODC and Project loads with services available across the country. 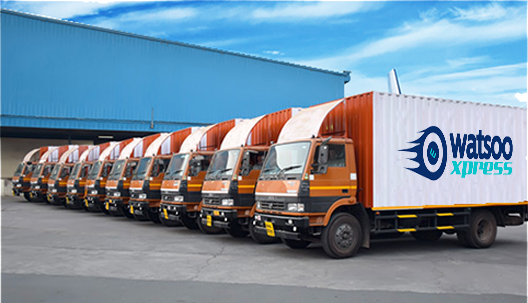 We provide adhoc and dedicated fleet which is currently served to majority of Corporate, Government Projects, Premium Logistics companies and E-commerce giants in India. When you think of a trouble-free, reasonably priced trucking transportation, think of Watsoo Express FTL services and solutions. We are a shipping powerhouse with thorough experience in finishing every operation in budget and on-time. Our FTL shipping solutions are designed to take care of high-capacity, high-volume shipping needs of our clients.